In India and the surrounding countries, turmeric has long been used as a traditional folk medicine for treating and preventing various diseases as well as a spice for culinary purposes. Recent studies have shown that turmeric is effective as an antioxidant, antibacterial, antihypertensive, anti-diabetic and anti-myocardial infarction. In South America – particularly in Mexico –diverse tropical and subtropical fruits can be found. These fruits and herbs have been used as prescriptions for Mexican folk medicine. Among these formulations, mention is made especially of fruits and vegetables having cardiometabolic effects. Arthrospira maxima (spirulina) is generally known as an oxygenic photosynthetic bacteria and is rich in polyunsaturated fatty acids (PUFAs). 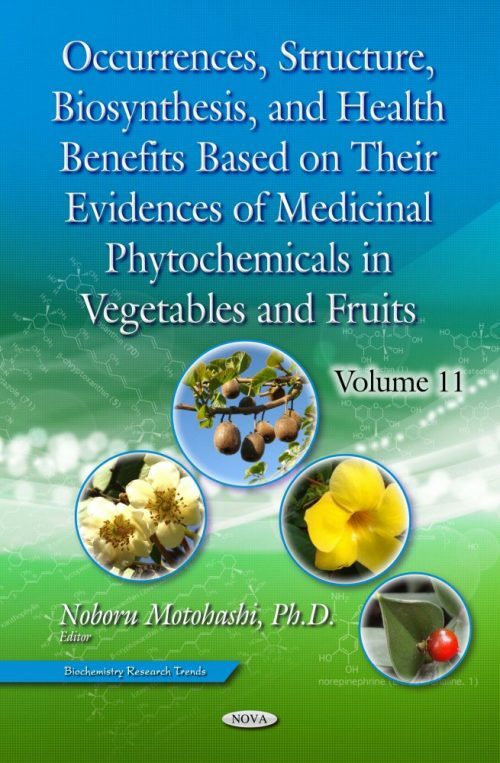 The following chapters describe in detail preventions and treatments concerning medicinal fruits and herbs found in the abovementioned sites: Chapter One: “The Phytochemicals and Health Benefits of Curcuma longa Linn. (Turmeric) (Family: Zingiberaceae)”; Chapter Two: “Cardiometabolic Effects of Functional Foods and Phytochemicals within Mexican Folklore Medicine (Part 1)”; Chapter Three: Cardiometabolic Effects of Functional Foods and Phytochemicals within Mexican Folklore Medicine (Part 2)”; and Chapter Four: Arthrospira maxima (Spirulina): Protection against Mitomycin C-Induced Dominant Lethal Mutations. These chapters will provide more advanced information to researches in studying new drug designs of phytochemicals.